Zombies are everywhere from TV such as The Walking Dead on FOX+, video games and movies. Here's a look at the different types of zombies that the world is obsessed with. A Walking Dead walker. (c) 2017 AMC Film Holdings LLC. All Rights Reserved. For the past decade, the world has been entranced with the idea of zombies. From books to video games to TV, fans everywhere can't get enough. The origins of the word 'zombie', according to the English Oxford Dictionary, come from West Africa. It's compared to the words 'zumbi', meaning 'fetish', and 'nzambi', meaning 'god'. The first recorded modern use of the word was by the poet Robert Southey in 1819, where he used it as 'zombi'. It took a few decades for zombies to become mainstream -- the first known introduction of the zombie to popular media being the 1932 movie, White Zombie,which was inspired by Haitian myth involving voodoo. Since then, the living dead have come a long way, with it becoming difficult to keep up with all the zombie-related media cropping up. Of course, there are fan favorite standouts such as the Resident Evil franchise, Night of the Living Dead, and The Walking Dead series. With all the love that zombies have been getting in pop culture, we've seen more and more kinds of them crop up. These zombies are the earliest known versions of the modern horror staple. These are essentially bodies that have been reanimated by some sort of spell or voodoo by either priests or necromancers. Unlike the modern zombie, they didn't eat human flesh but were used to do the bidding of their masters or as an incredibly frightening army. Voodoo zombies can be seen in relatively early films like White Zombie or I Walked with a Zombie. 2. The Romero Zombie AKA the "Walkers"
The father of probably the most classic and popular zombie concept is writer-director George Romero, who created the idea of the slow moving, groaning, flesh-eating monsters we all know and love. His 1968 film Night of the Living Dead and 1978 film Dawn of the Dead propelled zombies into mainstream media. 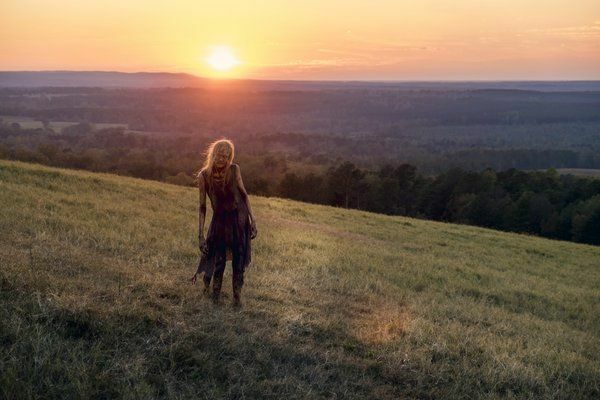 Since then, his concept of the zombie has been a template for future zombie-creators to follow, be inspired by, and deviate from -- the following zombies on this list not being too far from his original ideas. Today, the most popular home of the slow zombie is in the hit TV show, The Walking Dead. If Romero zombies are slow moving shufflers, runners (as the name implies) are zombies who will sprint to attack their victims. These make them incredibly more threatening and terrifying. 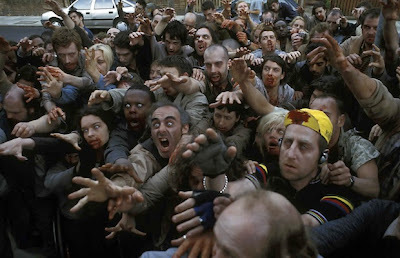 Another slight difference from the slow zombies is that while slow zombies usually work and attack in hordes, it's no uncommon for runners to break away from the pack in order to attack. Runners can be seen in World War Z, Dawn of the Dead, and the video game Left 4 Dead. While this could be considered a sub-type of zombie, it's worth noting simply because not all zombies can turn into crawlers. Crawlers are essentially zombies that have lost their lower appendages and will instead crawl with their arms towards their victims, innards spilling galore. They're usually depicted as low-profile but also incredibly important to keep an eye on. 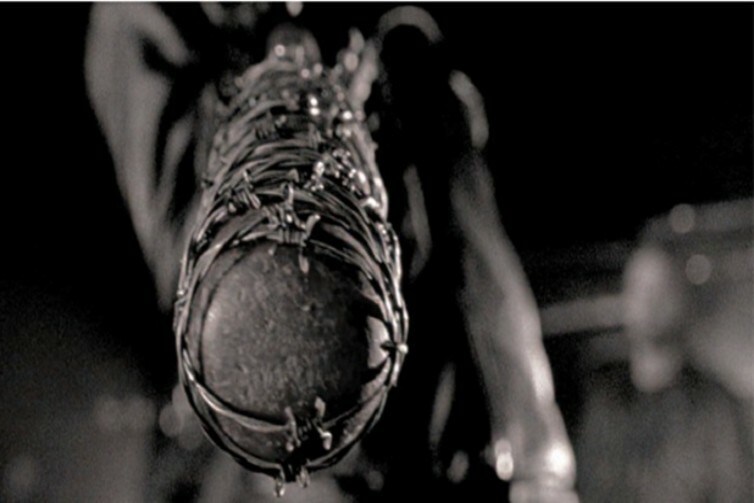 One of the most iconic portrayals of a crawler is in the premiere of The Walking Dead. Writers in recent years have gotten creative with the idea of the zombie, which resulted in giving them horrifying yet entertaining power-ups. While the variations are almost endless, the more common ones we see are screaming zombies (allowing them to attract their co-corpses), puking zombies (whose vomit can hurt and or infect), bursting zombies (who at one touch, could burst and infect), and armored or tank zombies (who have super strength and are impervious to regular attacks). This list covers the only the basics of zombie categories, so there is a whole world of variations and permutations to be seen out there. These include infection type, intellect levels, and origin. But no matter what variant the zombie may be, one thing is for sure: zombies are a staple in some of the world's most beloved media. ⏩ You can now get your fill of zombies with The Walking Dead on FOX+.